Kumbaya, it’s not far from folk song to small circle church music. Actual gospel should raise the roof and shake the foundations of your assumptions. Some lite-country music is so singsongy and single-minded that it should only be played for small gatherings–Amen! Paul Walden’s “A Penny Christmas Card” drawls a direct line from the card to you and God. Yahweh-Haw. Gospel might heal, so carols certainly uplift. The Statler Brothers spread the word with their Bible belt corn mush, preaching to the choir. “The Carols Those Kids Used to Sing” is a carol they sing. If you’re not a member you may not have heard of ’em. Originally a spinoff from The Show of He-Who-Must-Not-be-Named, this college-set sitcom featuring race relations and whatnot came into its own balancing haha and uhoh way back in the day before woke was a thing you said. Costars included Sinbad and Jada Pinkett, but one episode had Patti LaBelle singing a snippet of her own Christmas song “Nothing Could be Better.” Popspel. That Was the Week That Was launched a BBC moderator into a television personality. By 1970 David Frost was cool enough to co-launch his background music band leader’s Christmas album Merry Christmas from David Frost and Billy Taylor. This is NOT a TV serial, but i’m invoking my executive veto by including this vanity news/interview programme album, ‘cuz it’s happenin’. Largely instrumental then, like the hep jazz piece “Bright Star in the East” introduced with some wit by Frost. But the strength of this album is the gospel that probably resonates through every church in late December, but doesn’t get enough airplay. So close your eyes, raise your hands, and sway. “Stable Down the Road” from Ella Mitchell uplifts. “Wexforde Carole” from Gerri Granger transcends. Then “Rise Up Shepherd” by Joseph Crawford discos down. Piggybacking off the big guy, many noel-ators point out that Jesus is the gift. Period. They beat that oxen to death with drivel and doggerel. 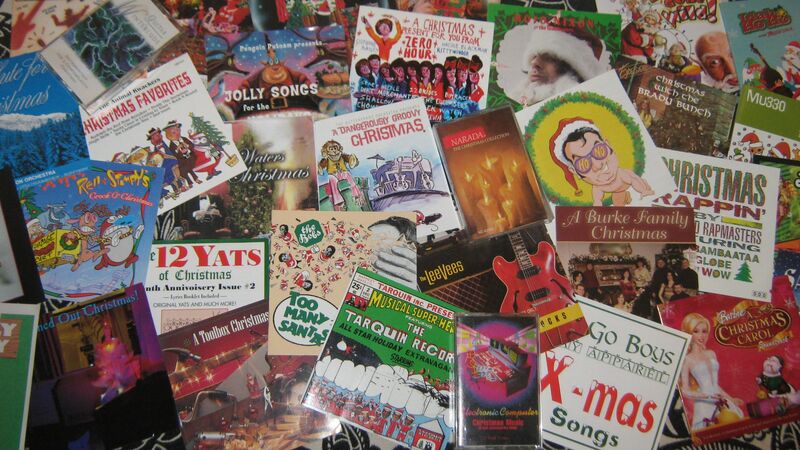 Yet, a couple presents-in-the-manger pieces are listenable. Gotta give it up for James Brown, the hardest to understand man in show business for “A Gift,” a disco-soul hymn to all things (incl. God). Smoothing out the backbeat with a picturesque family scene of suicide Shirley Lee evokes a meaningful Nativity in the alt-folk “The Christmas Present.” Not the same old observance. Grace in Christmas take the time to stop and think (and shatter glass) with gospel poppin’ in “A Gift on Your Birthday.” Point is, all y’all swapping presents, but whose day is it?! Now that we’ve had our fill, how do we go about defoliating the Christmas scene? Sandy n Steve don’t see eye to eye on the majestic pine in their house. Sandy says yea! Steve says “I’m Taking Down the Christmas Tree Now!” Show tune without much exclamation point. Simply knock it over? Drew Carey’s ‘Whose Line is It Anyway?’ take the Irish Drinking song bit to the “Knocked Over the Christmas Tree” arena. Improv… it’s funny ‘cuz… elephant pants! It could be an untimely accident, too. “Santa Knocked over the Christmas Tree” is that wordy Roger Miller country that we need more of from David Norris. Presents and a show! “Tipping over the Christmas Tree” is the jazz swing we need to capture our mood: drunkenness and ennui. Big ups to Beatnik Turtle for the perfect sound for AFTER the season. Small arms play a part in the un-decorating of John Flynn’s Christmas tree from the “Christmas Balls.” Growling folk that rocks. Drinking and Christmas trees also spell doom for “Christmas Balls” according to Holy Moly. Punk ‘billy. Give the kids a turn! Tommy Mulaney’s kids keep “Breaking Christmas Balls.” Oh, wait, this jazzy pop blues is about what a pain those needy offspring are… Ballbreakers! Farting all the ornaments off is the job of Stinky Ninja against “Three Stinky Christmas Trees.” This cockney toddler nails the kidsong without self indulgent whimsey. Hey, that gas is flammable. “Burn Down the Christmas Tree” is a pyro’s prize for the holidays. Slick country fun from Abbie Gardner. And she means it. Even more fun is the polka rock from Piedmont Songbag “Burning the Christmas Tree.” It’s like druidic partying married to Christian solemnity. Hey! Hey this is easy when the “Christmas Tree’s on Fire.” Holly Golightly uses experimental folk to bring down the house. Tom Heinl celebrates while trying to put out “The Christmas Tree on Fire” (with a tube sock). 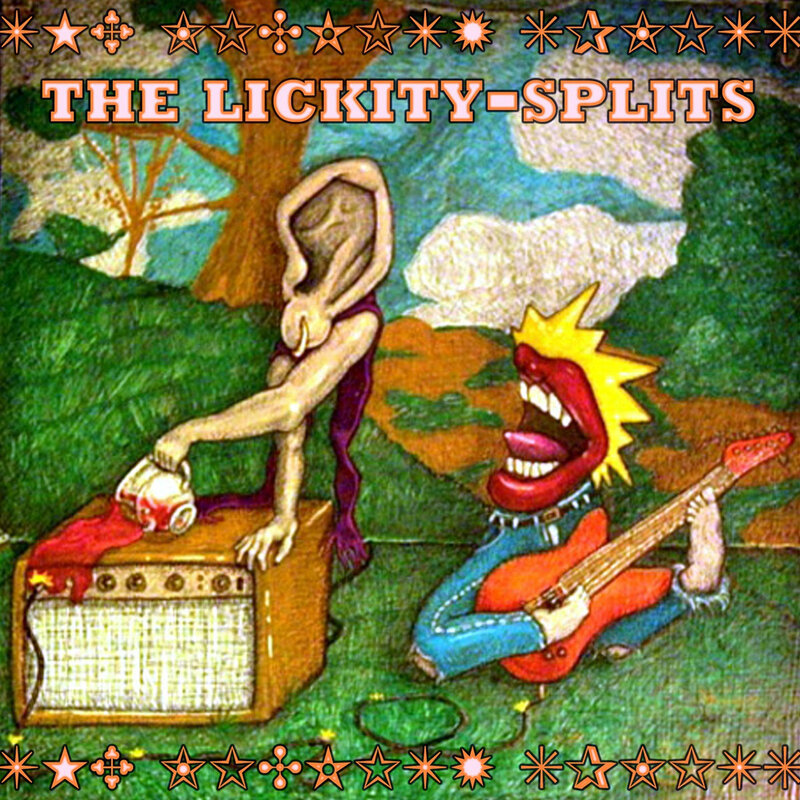 Comedy country with one of those tiny toy pianos–segue to church organ & sirens. Good song. 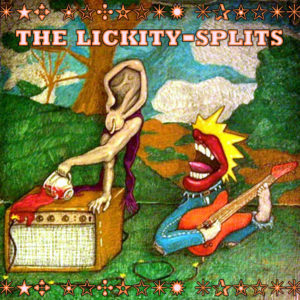 The Lickity-Splits mean love when they screech “You Set My Christmas Tree on Fire.” Raging garage classic rock. Cledus T. Judd cashes in on his parody “Tree’s on Fire.” It’s no ‘Ring of Fire,’ it’s funnier. Cowboy saga music accompanies the legend of Chaston and Groditski’s “We Burned the Christmas Tree.” It’s like a family tradition on acid. Here’s a good time to have The Toilet Bowl Cleaners “Pee on the Christmas Tree” again. How do Christmas trees leave? One children’s song imagines the “Christmas Tree Tango” as an exiting number. Pretty, and pretty messed up. Tree is symbol. What else around Xmas is symbol? Jimmy Dooley spells it out with electric gospel in “The Cross is My Christmas Tree.” Spoiler alert, dude! This is only his day of birth! Now with more soul, Byron Hill croons “The Cross is My Christmas Tree.” Different song, same guiltifying. “God’s First Christmas Tree” from Primitive Quartet also nails a lamb up there for decoration is harmony. Guys!! The season!! The Greenes drape “The First Christmas Tree” with blood as well. Beautiful singing, fellas. Barbara Mandrell sings “He Grew the Trees” meaning god provided the means to his own demise. So, not so much with Christmas, but more explanation for those who haven’t been following. Dennis Jernigan’s “The Very First Christmas Tree” more gently hoists up man-as-God onto the branches for your celebration. Tinkly piano show tune. Part of Christmas growing up is wishing you could be the tree, just for a day. Oh, it’s not? Great kids’ songs border on the creepy. “I Wanna be a Christmas Tree” from Vince Vance & the Valiants pounds out the fun of being adored with breathy hoarseness. Muck Sticky make this worse. Jeff Sorg’s rockin’ kid song “I’m a Christmas Tree” isn’t especially creepy, how he wants kids to dress him up. Serviceable. Kids’ assembly number time: “I’m Gonna Be Santa’s Tree” has some rousing jazz and teasing lyrics, but it’s all about how good a tree can be (i think). In a case of mistaken identity, Little Rita Faye claims “I Fell Out of a Christmas Tree” ’cause she was born on Xmas Day. She’s not really a tree after all. Early (underage) rockabilly. What’s that tree want? To go home with you! “The Christmas Tree That Ran Away” was a classic from The Peter Pan Caroleers, but check out the gospel take from John Baumgardner & The Paper Doll Baptists. Epic. Tired of all the snow? Starting to hate it? Want to go after it with the curling iron? Then listen…. G. Salvia says it outright: “I Hate the Friggin’ Snow!” Home grown rock strumming, ahuh. Fishing God Productions has a better version. Bill Morgan goes so far as to say “I Hate Snow” but he means Christmas snow. Showtune with Russian influences. John Mitchell opens the door to parodies. His ‘Let It Snow’ take off “I Hate Snow” delivers what his funny uncle mustache promises. Lorelei Savaryn continues the parody parade with “I Hate Snow” as a ‘Let It Go’ parody. Slightly more wit, certainly a longer song. Howard Teschner, too. The “No Snow Song” posted by ronniebus is parody of Ringo’s ‘No No Song’ but i still think it’s good. Listen. skwank has posted a charming Brit punk screamer “I Hate Snow.” Mildly jolly profanity. John Wayne Donovan gooses his inner Elvis for “I Hate Snow.” Leans into that guitar good. Canadian teen Austin Thomas confides “I Really Hate Snow.” Northern bluegrass fun. Steven Lyons gargles his country singing for “Santa, I Hate the Snow.” Be a man. Wendy Jans strings along the country sound to a soulful “Don’t Let it Snow.” Some range. Tampa Stan tries to be funny with “I Hate Snow.” Oompah rock. Reacting to a messed up year (tragedy?) alexxx sings “I Hate Snow” and everything that goes with it. So there.